Courtesy of Ebby Halliday, REALTORS-Frisco, Lori Vaden. This beautiful, spacious executive home will capture the interest of the most discerning buyer. Inviting backyard with kitchen & bar, outdoor living area with fireplace, open flagstone patio, & fountain for your relaxation & enjoyment. 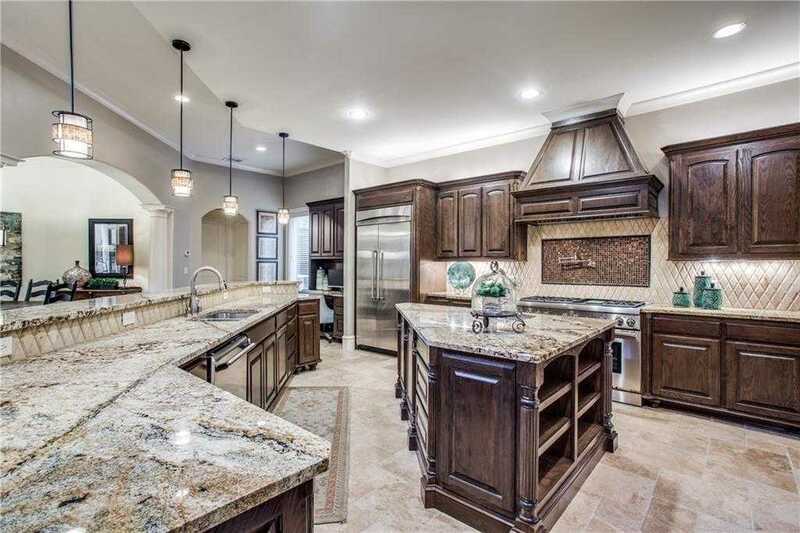 This bright open floor plan is perfect for entertaining with a huge epicurean style kitchen, formal dining, butlers pantry, & wine cellar. All bedrooms are ensuite & have views! Plan includes a study, media room w projector & screen, versatile game room, and wet bar w wine chiller. The expansive private master suite has see thru fireplace, separate sitting area, dual shower, his & her vanities & closets. Game rm & master have access to 2nd outdoor living with FP. Guest bed down. Please, send me more information on this property: MLS# 13997048 – $1,225,000 – 4915 Purdue Avenue, Dallas, TX 75209. I would like to schedule a private showing for this property: MLS# 13997048 – $1,225,000 – 4915 Purdue Avenue, Dallas, TX 75209.